Sigma Delt and Epsilon Kappa Theta, the first sorority to adopt the shake-out process, were the only two sororities that used shake-out processes during winter recruitment. Sixteen women accepted bids at Sigma Delt and 21 accepted bids at EKT. The six other sororities participated in Panhell recruitment. At Alpha Phi, 16 bids were accepted; at Alpha Xi Delta, 16; Chi Delta, 13; Kappa Kappa Gamma, 12; Kappa Delta Epsilon, 10; Kappa Delta, 13. Hartley said an average of 350 women usually register for rush during each recruitment cycle. At Sigma Delt 85 girls showed interest in shake out and attended one or more of the three open houses and a shake-out, Sigma Delt winter rush chair Jordana Composto ’16 said. She said she thought winter rush was successful considering this was the sorority’s first time implementing shake-out. At Sigma Delt’s open houses, potential new members were able to meet sisters and mingle through activities such as finger-painting. During shake-out, women interested in becoming members of the sorority wrote down their names to indicate their interest in being considered for a bid. Sigma Delt shake-out took place between round two and preference night of formal recruitment. Potential new members were able to participate in both Panhell recruitment and shake-out at Sigma Delt, but had to drop out of formal recruitment by 10 p.m. at preference night if they wished to accept a Sigma Delt bid. “Learning from this process, having something concrete gives people a much more fruitful way of thinking and talking about what to do next,” Composto said. Young said Panhell and Sigma Delt worked together to develop Sigma Delt’s new shake-out procedure. She added that it is designed to give PNMs more autonomy within the process. Composto said that Panhell was cooperative and helpful as Sigma Delt worked out the logistics of its new recruitment process. She said she was initially worried that shake-out could confuse PNMs because it is a departure from Sigma Delt’s previous recruitment through Panhell. Composto said shake-out seemed “a lot more laid back, felt more natural.” She said the shake-out process was easier than expected, and Sigma Delt is interested in using a similar shake-out process in coming terms. EKT president Sally Kim ’16 wrote in an email that she was excited that Sigma Delt decided to do shake-out as well. “We are really glad that we switched to this process in 2014 because we feel we are having more open, genuine conversations with girls,” she said. Hartley said she was impressed by how organized the shake-out process was at the houses that chose to implement it. She added that she wants make sure Panhell supports all sororities, regardless of how they choose to conduct recruitment. “My job is to protect the integrity of the sorority system as a whole,” she said. 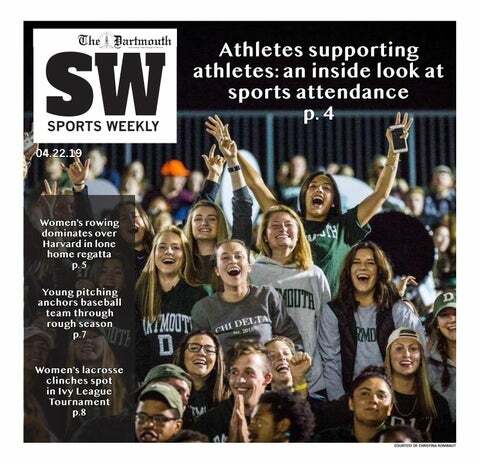 Young said the rush process this term, including shake-out, has yet to be fully evaluated, but once it is, decisions will be made to determine what the future of rush will look like at Dartmouth. She said Panhell will consider how to keep rush processes and house membership as balanced as possible, especially as the sorority system continues to evolve. Panhell will examine how shake-out affects the fairness of rush and whether it is “positive” for houses participating in formal recruitment as well, she said.